Search Colony Homes for Sale in Deer Valley below! Lot acreages of Colony homes average more than 5 acres, so the privacy is matched only by the spectacular natural setting in The Colony. 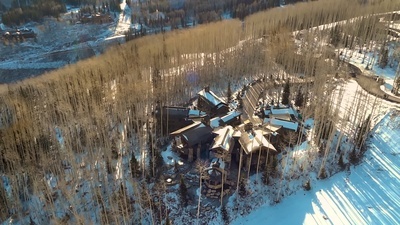 Colony homes are some of the most exclusive ski homes in North America. The Colony gatehouse is manned around the clock, so if you place a high value on security, check out The Colony at White Pine Canyon. Take a look at the available Colony real estate listings below, or read on to learn more about this exclusive gated Deer Valley community. Quickly & easily gather all the info you need about Colony Homes for sale in The Colony At White Pine Canyon. Our FREE Park City & Deer Valley Real Estate Concierge is at your service! Call toll free 1-800-485-0218 or use our Live Chat for instant answers to your real estate questions about Colony homes. 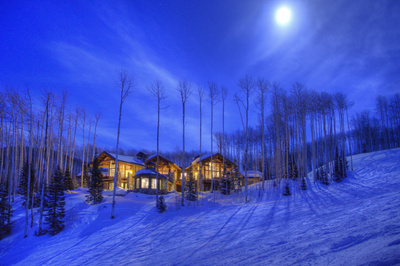 The Colony at White Pine Canyon offers residents the ultimate Park City ski-in/ski-out lifestyle. Walk out your door and ski down to the ski lifts at Park City resort--now the largest ski area in the United States thanks to Vail's recent merger of Canyons Resort and Park City Mountain Resort. You'll enjoy numerous heart-pumping powder runs before the general public works their way up the mountain from the Canyons Village base area into uncrowded runs and pristine glades near the Colony real estate. The Colony homes for sale offer incredible architecture that spans the entire scope of style from rustic mountain lodges (think grand lodges of our National Parks) to clean, contemporary mountain modern estates with towering walls of glass and refined interiors. The Colony is one of our favorite neighborhoods to help buyers explore--we have helped numerous families find and acquire family legacy ski homes in The Colony over the years. If you are interested in a luxurious Colony home, we look forward to being of service. We can help you pinpoint the best locations for views, ski access, natural sun in the winter, proximity to the gate, etc. Are you interested in one of the Colony homes for sale? We encourage you to contact the team at DeerValleyRealEstateGuide.com online or call 1-800-485-0218 to consult a local, experienced real estate agent.